This Chilean musician and deejay has become a key figure in the international arena and in Spain is already demanded by the best clubs and festivals (not known how many theaters have closed and his inseparable friend Richie Hawtin. Let us remember, the Festival Benicàssim International 2004 edition of Sonar 2006). 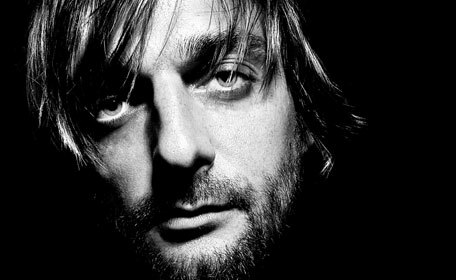 Although he has behind him a huge race, riddled with countless EPs and remixes, it is thanks to his first album released in April 2003 on the Playhouse label when you get a massive success: the famous Artichoke. Not only that but who is also served to popularize micro-house that I needed to tap needed to cross the borders of the club and get to the home hi-fi equipment. Their second album The au harem d'Archimede appears in 2004 under the seal of Zip, Perlon. Issues long and very tribal structures that served more as tools for DJs who like themed album per se. Its growing reputation is the result of total dedication and connection to the public, which rises to the top with their discharge rate, a mixture of South American music in him, and electronic influences (Detroit, Chicago and its severe training as a deejay at the Frankfurt School). Prolific and tireless musician, record for top labels: Playhouse, Perlon, Ladomat, Force Inc. labels and countless more. And is that Richard rubs elbows with the best from the world stage. One of his latest ideas, Narod Niki, a group that has names like Daniel Bell, Isolee, Richie Hawtin Losoul or serves to return to the Sonar from the 2007 edition. Under the signature of Narod Niki find work performed between two artists 'unidentified' which makes jams onstage promptly let laptop without prior discussion between the artists. Thus we see a Richard musician, theoretician and ideologue of the music that is facing the most superficial, the kind that occasionally appears in photos and forums with the face and mouth dancing jacks. All times are GMT -4. The time now is 03:00:47 AM.